Spyderco Para 3 - For tactical end users who are concerned about light discipline or those who just prefer the look of a black blade, the Para 3 is now available with a tough Diamond Like Carbon (DLC) blade coating. 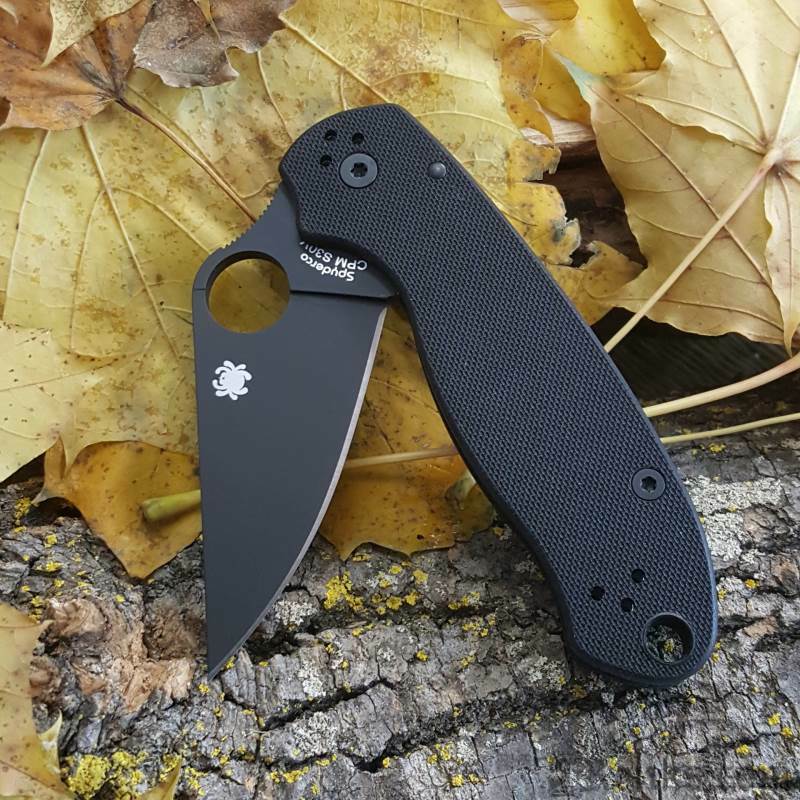 Para 3 Black Blade - The Para 3 folding knife packs all the time-tested features and functionality of Spyderco’s iconic Para Military™ 2 into a smaller, easier-to-carry format. 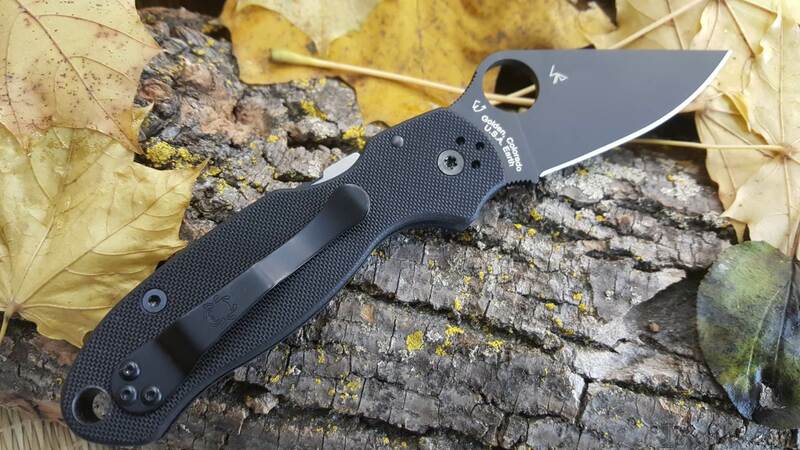 Paramilitary 3 Knife - Like the blade, the clip and all assembly screws are blackened with non-reflective coatings. 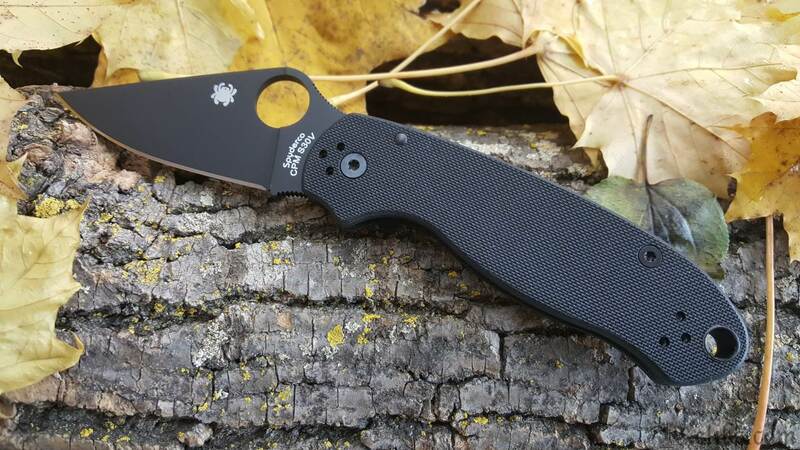 Spyderco Compression Lock Mechanism - This low-profile coating is permanently bonded to the premium CPM® S30V® stainless steel blade, which features a full-flat grind, a PlainEdge™ cutting edge, and a fully accessible Trademark Round Hole™ for swift, ambidextrous, one-handed opening. 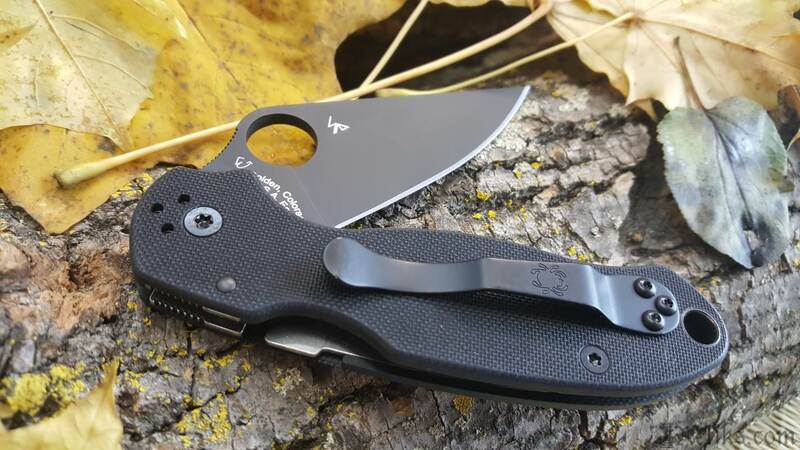 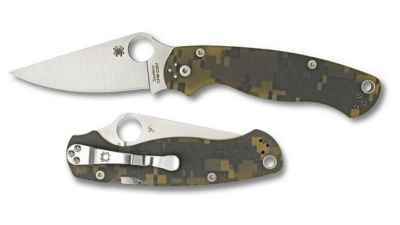 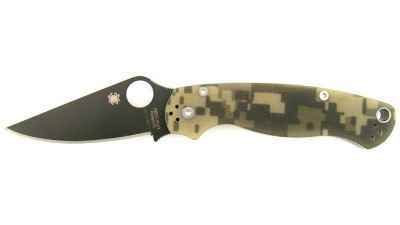 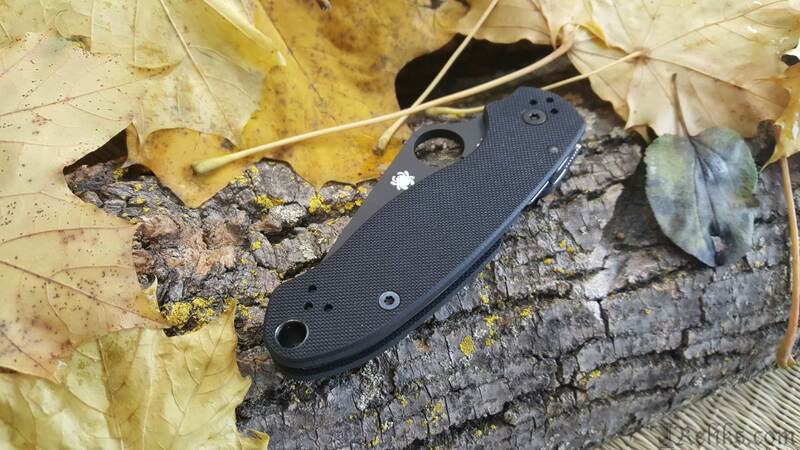 Para 3 Spydie Hole - Its easy-to-clean, open-backed handle construction reduces the knife’s weight, while providing a solid platform for a four-position hourglass clip that supports left and right-side tip-up or tip-down carry. 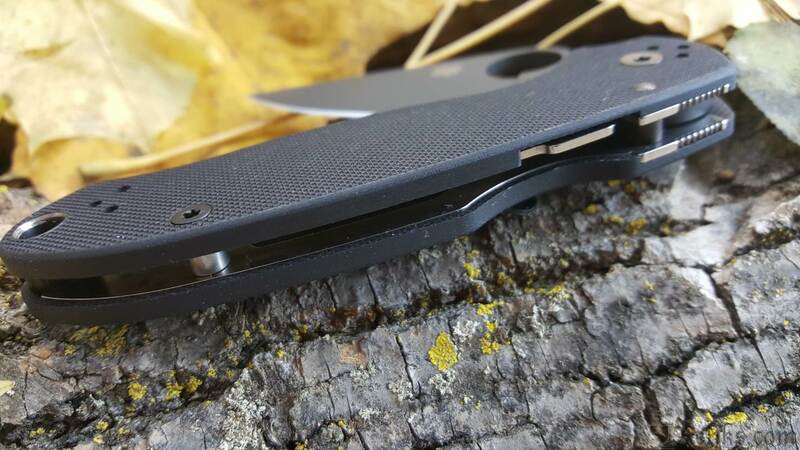 Like the blade, the clip and all assembly screws are blackened with non-reflective coatings. 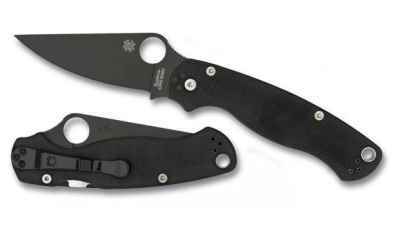 Para 3 Handle - The blade is supported by a high-strength Compression Lock™ mechanism nested within the handle’s textured black G-10 scales.